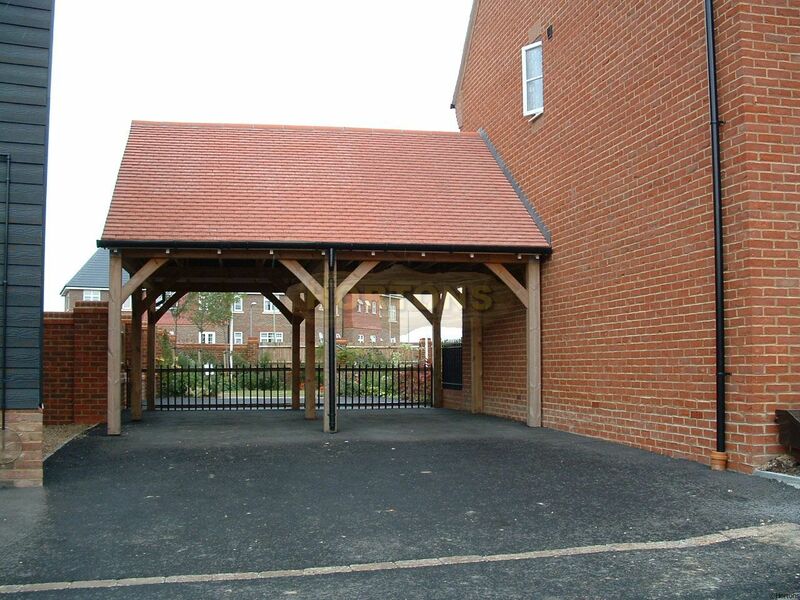 This is one of our range of Oak frame 'style' carports. Our kits are available with 3 different roofing styles: Barn-end, Hipped and Gabled-end. Each model has the option for additional bays. We currently offer cedar shingles (see image). However, If you have special requirements, please let us know as we are able to supply any roofing of your choice.